We will discuss here the difference between positive and non-positive displacement pump with the help of this post. Non positive displacement pump are also designated as hydro dynamic pump. Centrifugal pumps and propeller pumps are the best example of non positive displacement pump. In case of Non positive displacement pump, Flow is not constant but also it varies with variation in pressure. Output flow will be decreased when system pressure will be increased. Such types of pumps are also called as constant head pumps as head of such pumps will be constant. Non positive displacement pumps are basically used for low pressure applications as such types of pumps are not capable to work against higher pressure and that is the basic reason that non positive displacement pumps are not designed for application in hydraulic system. Non positive displacement pumps are designed to work maximum pressure of 18 to 20 bars only. Non positive displacement pumps are considerably used in chemical and oil industries where liquids are required to transport from one location to other. We can summarize non positive displacement e.g. 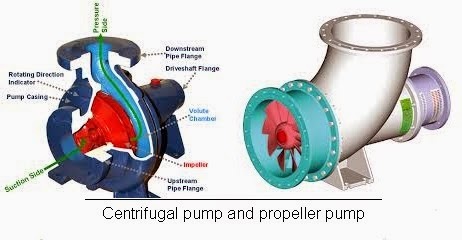 centrifugal pumps are used for low pressure and higher volume flow applications. Positive displacement pumps are self priming because there will be very close clearance between rotary and stationary components of pump. Such types of pumps are basically designed for higher pressure application for example hydraulic fluid power application. Positive displacement pumps will never generate the pressure but also they will produce the flow, pressure will be produced due to resistance in output fluid flow. 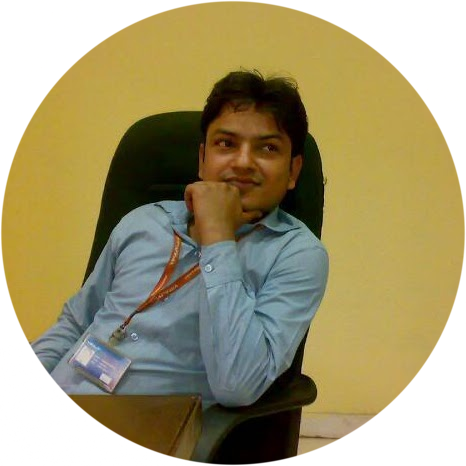 If output section of pump will be opened completely then in that situation there will not be any resistance for fluid flow and hence pressure generated will be zero beyond atmospheric pressure or pressure gauge will show zero reading. If output port of pump is closed partially then pressure will be produced due to presence of resistance of fluid flow, suppose if output port of pump is blocked completely then pressure will be increased significantly and may damage the component of hydraulic system. In order to avoid damaging of hydraulic elements of system due to such high pressure, pressure relief valves are used in hydraulic system. Such types of pumps deliver definite quantity of fluid to the hydraulic system for each cycle or for each revolution of shaft. 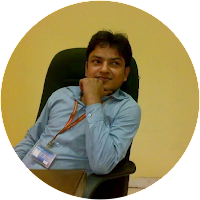 Output fluid flow will be constant and will not depend on pressure of system or load on system. We know three important and commonly used Positive displacement pumps and these are as displayed here. Positive displacement pumps work for high pressure applications, pressure might be up to 800 bar. Such types of pumps will create constant output flow and precise control over the system is quite possible due to application of such pumps. 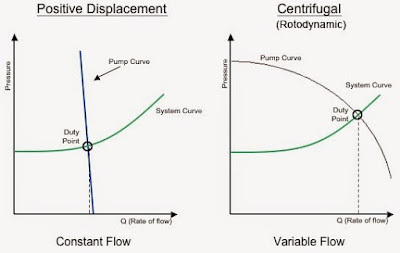 Pump performance curves are displayed here between pressure and flow for both type of pump.